Bosch dishwashers are rated highly by Consumer Reports and prized for their powerful yet quiet operation. Still, Bosch dishwashers can suffer breakdowns just like any other brand. The flow switch is a small but important trigger in the dishwasher's system. 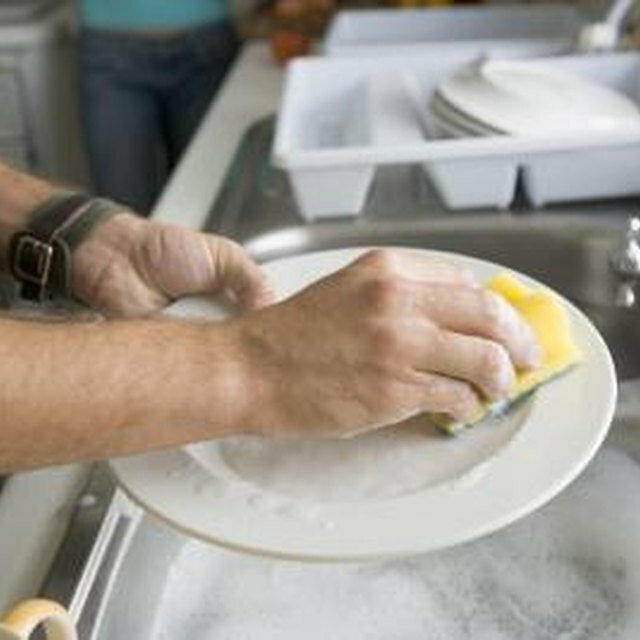 If it fails, water will unceasingly flow into the dishwasher's tub, causing it to leak. A flow switch failure may cause flooding. The float is just that -- a small object that floats at the water's surface as it rises during the wash or rinse cycle. It is located in the front right or left bottom corner of the dishwasher. Once the float rises to a certain level, it triggers the flow switch, which closes the water intake valve, stopping the flow of water into the dishwasher's bin. In some cases, the flow -- sometimes called float -- switch fails to engage. Less commonly, it engages but the valve fails to respond by closing. A failure to engage may be a result of debris blocking or caught in the switch, or a defect in the float. It might also be an electrical problem, because the switch closes the water intake valve by turning off the electricity to the valve. It usually requires a professional repair technician to make a firm diagnosis. A faulty flow switch might necessitate replacement of the entire float assembly, unless it is a problem that can easily be solved. The only relatively simple solution to a flow switch problem is if the owner can see that the float is being blocked from reaching the trigger point -- perhaps by a fallen utensil -- or if the flow switch is stuck due to external factors. Simply remove the offending item and restart the dishwasher in that case. If you cannot easily see the cause, you'll need to call a professional. A failure of the flow switch to close the intake water valve will result in flooding, but the flow switch might not be the problem. Water valves sometimes get stuck on their own or when a piece of debris gets jammed into the opening. To test for this, reach into the water intake valve and see if the valve is stuck in the open position or if something is caught on the valve. If you can't easily manipulate it, the issue may be with the valve itself and not the flow switch at all.